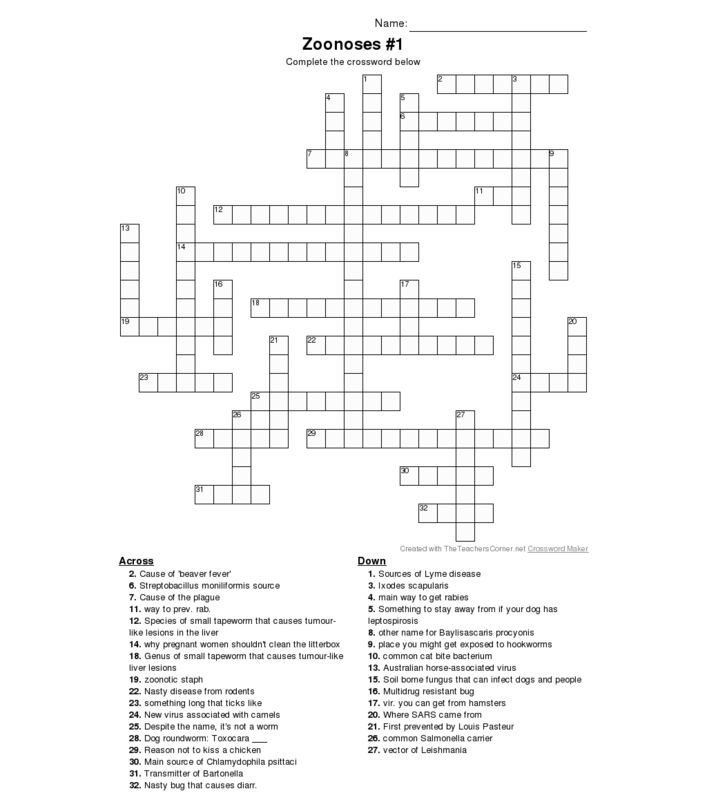 If you’re looking to test your zoonotic disease skills (or to procrastinate….which was basically what I was doing while making this up), here’s a little crossword puzzle. (You can click on the highlighted text for a downloadable version). The answer key will be posted next week. .